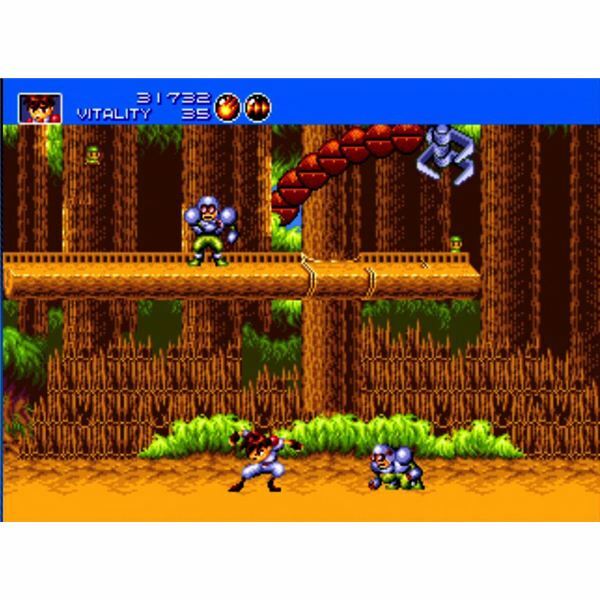 Gunstar Heroes was made available for download on the PlayStation Network this past summer, and it is currently among the top ten most popular games on the PlayStation Store. You’d think a retro remake of a game that is over 15 years old wouldn’t be so popular, but gamers who remember playing this classic on their Sega Genesis jumped at the chance to revisit the game. Not much has been done to update the game from it’s original look and feel, although it does have a somewhat buggy online multiplayer component. The measly $2.99 price tag still makes it hard to ignore. This game is nuts. 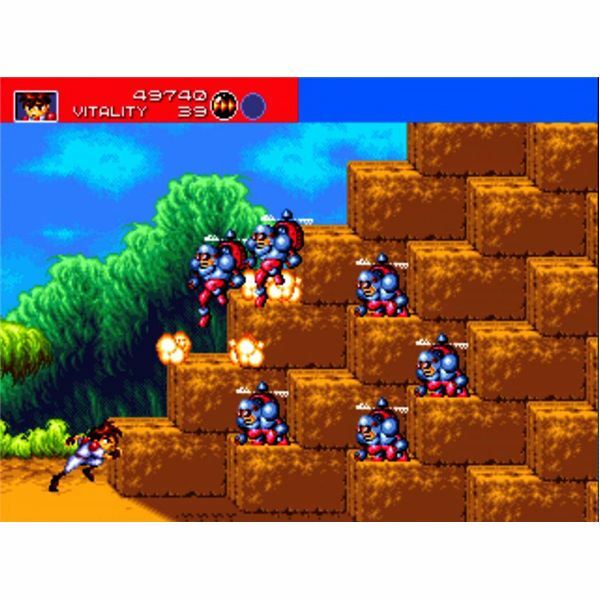 It’s a side scrolling action game, meaning you move from one side of the screen to the other while the background slowly plugs along. You’ll encounter countless enemies as they come at you from both sides with a variety of weapons and try to kill you. Your job is to use your choice of four different weapons to take them all out, plus you get combos. 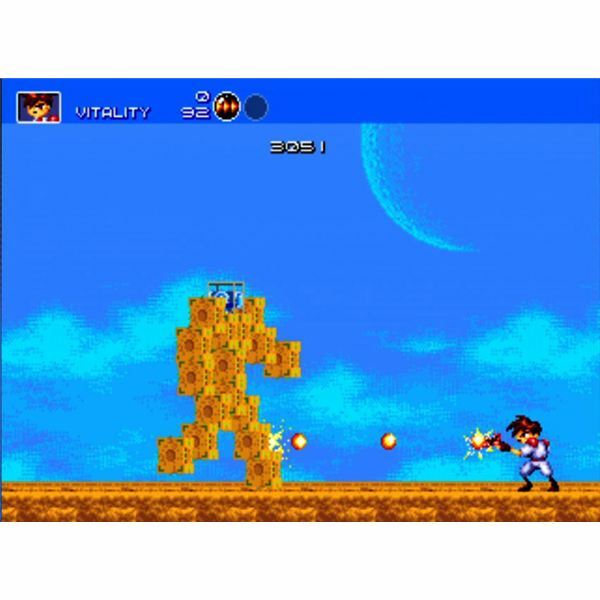 There are also a bunch of big boss battles that will challenge your reflexes. What makes this game so famous is how fast it plays and the frenzy of action you experience from beginning to end. While you can beat the game in about the same amount of time it takes to play a couple of missions in Modern Warfare 2, this game presents a very different challenge. With this style game, what you have to get used to is the rhythm of the gameplay. Bosses attack using a few different special moves and it’s sort of like dancing with them to defeat them. You learn their special attacks and likewise learn how to avoid them, then wait for the right opportunity to strike. This is the kind of game where you can’t look away for even a second or else you’ll get hit with something. Make no mistake about it – this is a 16-bit game. You can find better graphics on a cell phone, and the sound effects are so limited that you’ll get used to hear the same few sounds over and over again a thousand times. 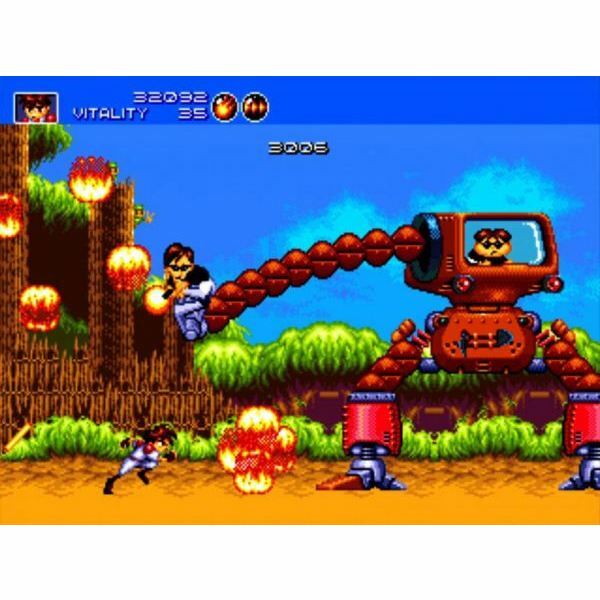 This game uses some of the Sonic the Hedgehog style graphical tricks to make things look extra fast, and the steady barrage of enemies guaranties that your screen will always be filled with stuff flying through the air like bullets, bombs, and explosions. Just don’t expect anything lifelike or dazzling. For this PS3 remake, a smoothing effect is used to help make the graphics more presentable, but it’s kind of a lost cause and most people complain about it making the graphics blurry. When you play this on a 47” LCD HDTV, it’s going to look blocky with lots of jagged edges. You have to remember that when this game first came out, there were no widescreen or flat panel televisions, and most people had a TV equal to the size of what many now use as computer monitors. When you take that low-res image and expand it out, you’re going to lose some quality. Just keep in mind that playing games like this is not about the graphics and sound, but the gameplay. If you’re looking to be impressed by redone graphics and sound, look elsewhere. This is a faithful re-release of the classic game with only a few new features. 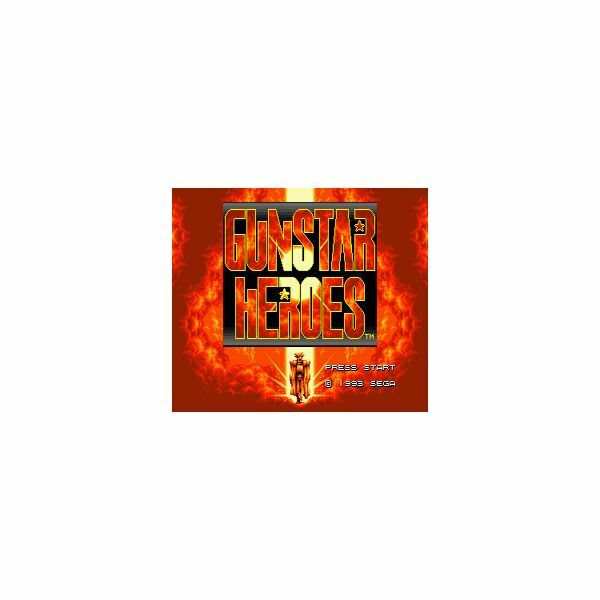 If you are looking for an extremely fast-paced action game and can handle the old school graphics, I highly recommend you check out Gunstar Heroes. It’s the same as it ever was, and older gamers will love playing this one again. Younger folks might have a problem with the way it looks compared to modern games, so the appeal will be somewhat limited to those who can’t handle the retro stuff. It is also available for download on the Nintendo Wii and Xbox 360 consoles.